It must’ve been around 12:30 pm. Maybe 12:31 or 12:32, at the latest. But it happened, nonetheless. I’m talking about the change in the weather. Or the weather break, I should say. That little bite in the breeze was no longer there, and that in itself was noticeable. A few minutes later the sun started to shine, sending warmth into these very bones that harbored the chill of a few days of very cold temperatures. This was indeed the beginning of the January Thaw. Excellent! A few minutes later, my trusty old Weber was home to a handful of sparked up hardwood. Time to celebrate this little weather break that Mother Nature provides, just to tease but yet remind us of what’s in store for the future. 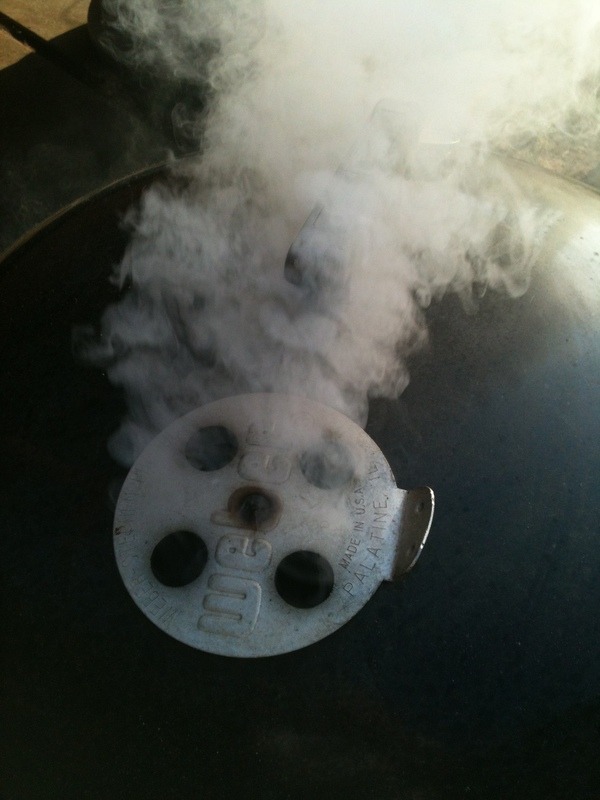 We year-round grillers appreciate it and try to put it to good use. And I did. 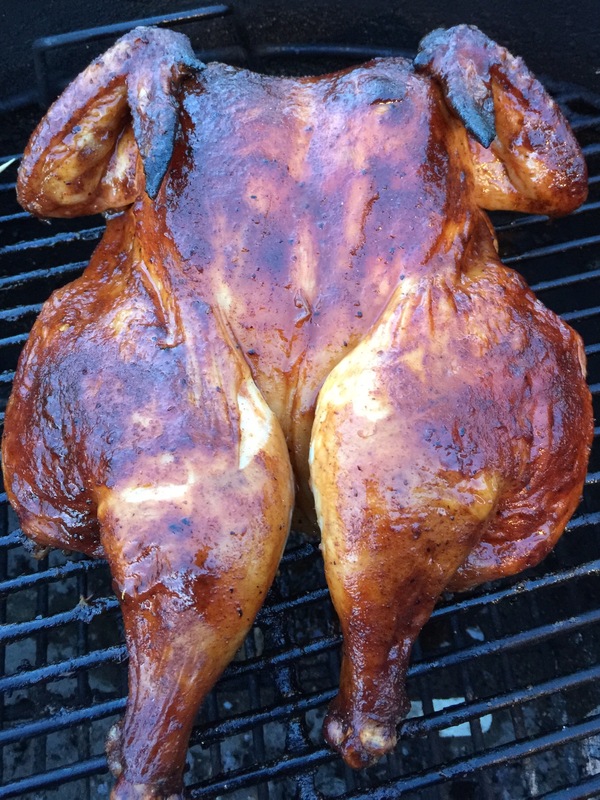 The choice of the day was a whole chicken, primed for smoking. 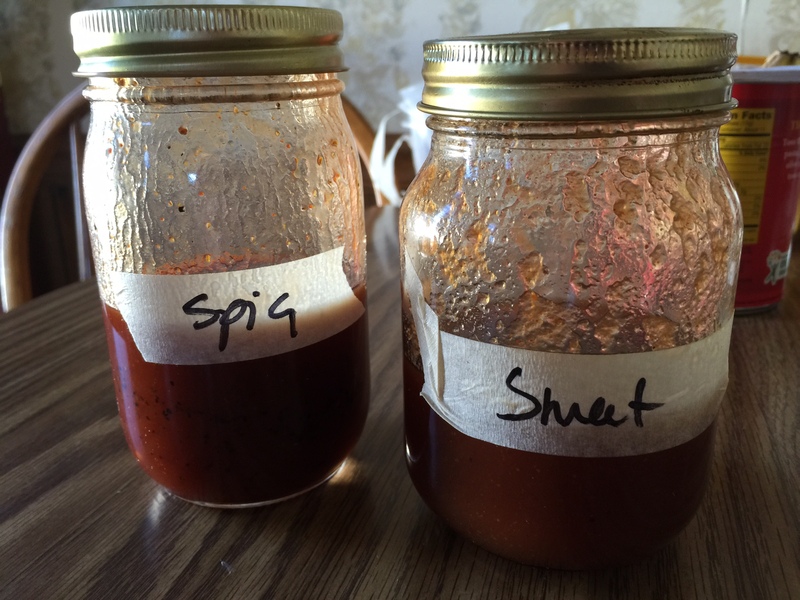 So you can bet your sitter-on-r that this sauce is gonna be pretty dang awesome, and used, pronto. 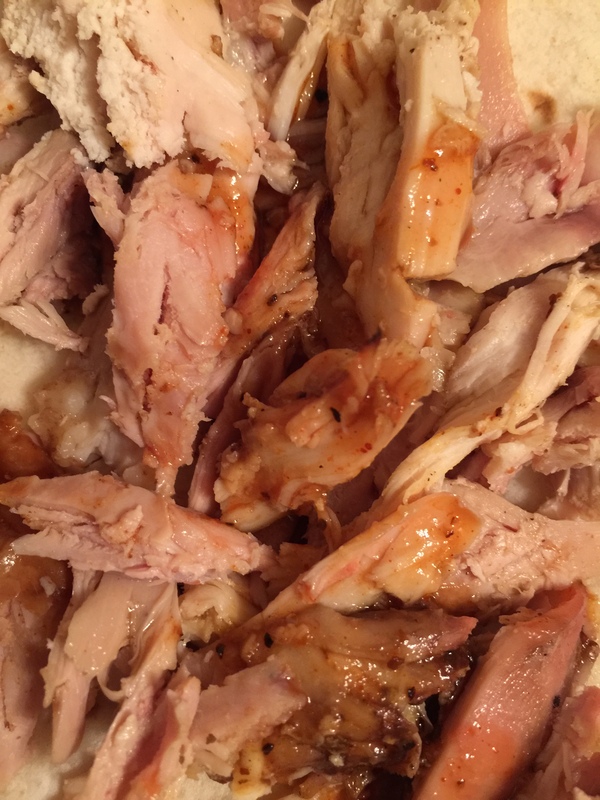 My naked chicken was brined, in a spa-like ice bath filled with water, garlic powder, salt and whole peppercorns. An hour was plenty, because after all, there were other intentions with this bird, and the quick soak was only the beginning. 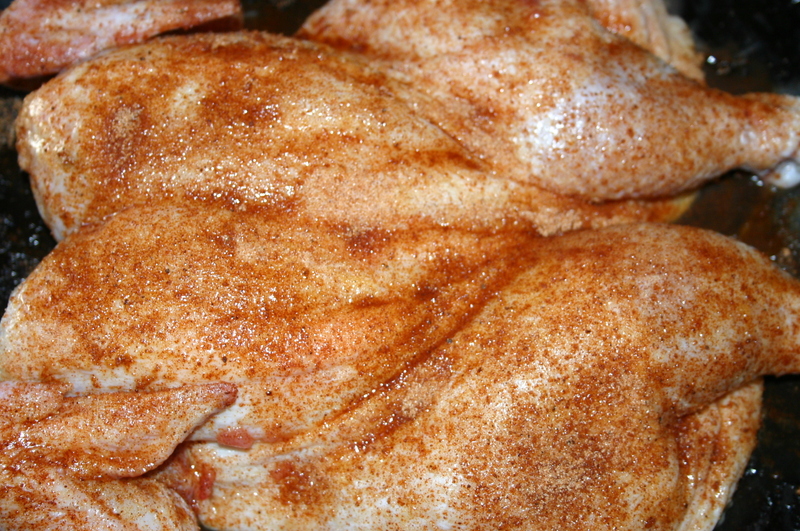 Naked bird was then spatchcocked, and rubbed liberally on both sides, inside and out, with a favorite seasoning. We all have our favorites. Use what you like. 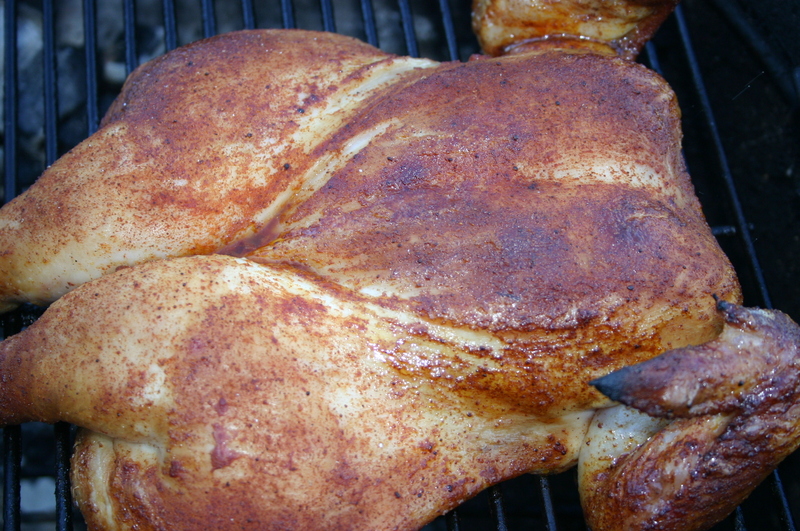 The chicken then gets to lay out and grab a tan on the indirect side of the grill. I threw some cherrywood/applewood mix on the coals for added flavor depth, and then closed the lid. You have to trust the bird to do its thing. No peeking. 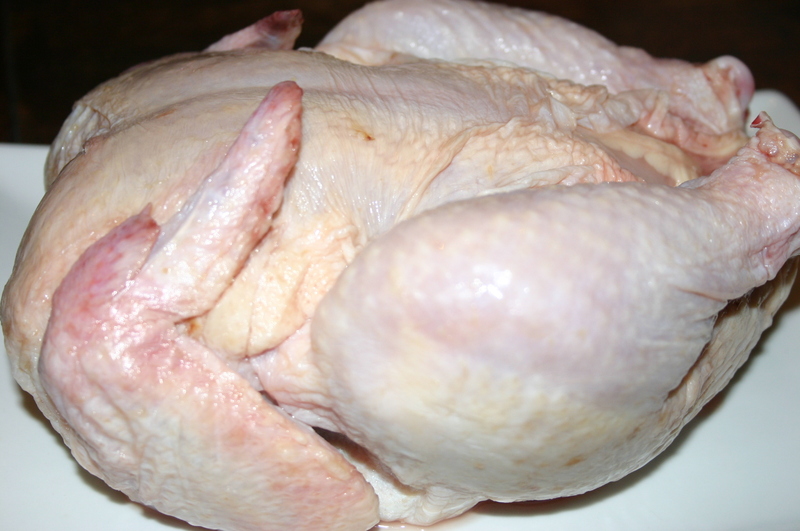 None, for about a half hour, when you pick that chicken up and rotate it for even cooking. Gotta have an even tan! 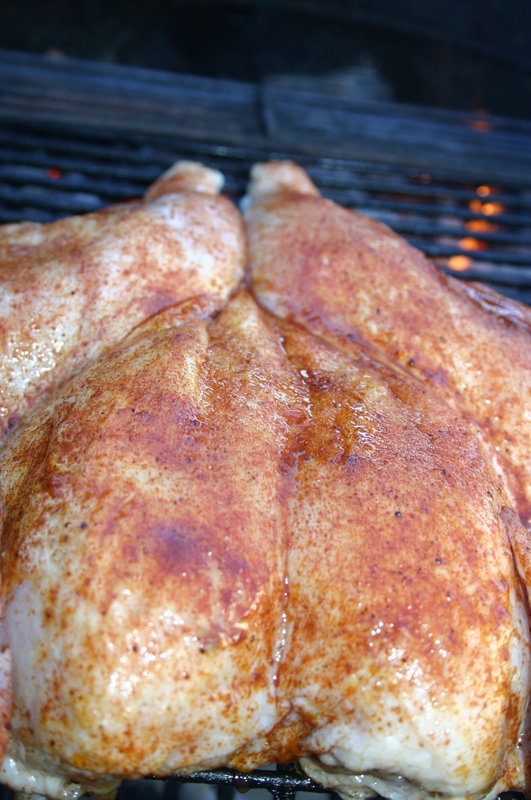 The yard smells had started, and after another twenty minutes or so, that special sauce was slathered on, making the bird glisten like a calm sea under a full moon. I used the spicy one, just because. Naked bird didn’t look so naked anymore, but still, the lid had to be closed again to let that sauce caramelize. And once finished, it was clear this bird would not only be awesome just as it was, but demanded a little pulling action as well. 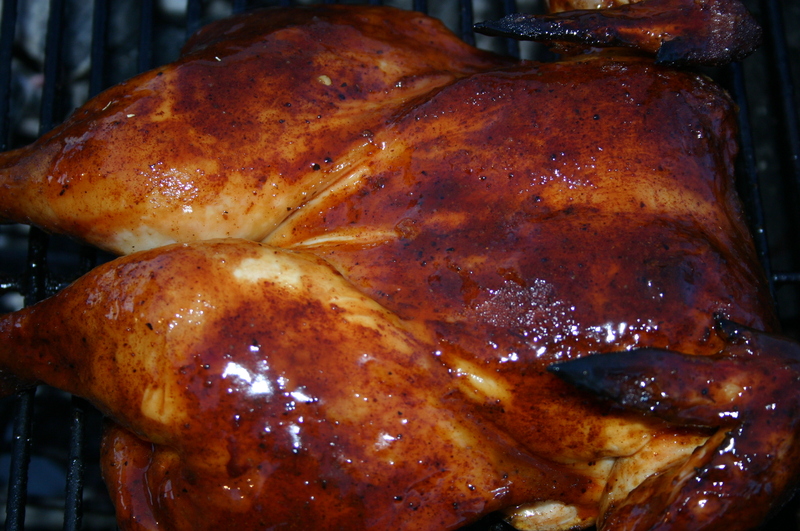 The warmer than usual weather took care of the outside, and the sauced up chicken completed the thaw of our insides, giving us the brief, albeit welcome look into the season ahead. ← Grilled Flatbreads: Satisfying The Craving.